So – this morning I’ve received emails from 3 smart(ish) people asking about an ABA Journal article titled the Latest Online Goldrush for Lawyers. Starting October 12, you can now buy .lawyer Top Level Domains (TLDs). Think billjones.lawyer or personalinjury.lawyer or seattledui.lawyer. The new .law TLD can only be purchased by lawyers (although apparently it can be transferred to a non lawyer as long as its initially purchased by a lawyer. Hmmmm.) Oh – and its just a cool $210 bucks a year. Per domain. Delicious if you are selling these things. TLDs and the Promise of SEO Success…. The article goes on to espouse the .law domains as a key to SEO rankings and clients. Since only lawyers can own .law domains, lawyers and law firms will be able to increase credibility in search results as compared to other top level domains. Hmmmmm…. because presumably, notwithstanding structured markup identifying attorneys (https://schema.org/Attorney) and Google My Business Categories defining businesses as “law firm”or even “divorce law firm” the engineers in Mountainview are having trouble identifying sites owned by…. lawyers. Back in the day, a long long time ago, in an SEO galaxy far far away, exact match domains did carry the day. Simply put – the site seattleduilawyer.com was presumably about Seattle DUI Lawyers and therefore would rank for that exact match term. This was killed in October of 2012. Some of the value of exact match domains was anchor text (now dead) driven – so if your domain was DUILawyerSeattle.com, people would like to you with the anchor text Dui Lawyer Seattle, which in turn would help you rank for …. yeah, you get it. But of course, anchor text got killed back in January of 2013. Now, lawyers have been buying up vanity domains and exact match search domains for years. Its rare that a kick off meeting with a new client doesn’t include something like: “and I also own drug-lawyer-seattle.org and dui-attorney-washington.com and BestEverDrunkDrivingLawFirmLawyerAttorney.co.au and … and… and… and…” So far we’ve never done anything with any of domains. And the recent availability of .attorney and .lawyer TLDs has certainly NOT shaken up the online marketing world. I’ve yet to talk to any reputable search nerd espousing TLD tactics for success. Even the luster over backlinks from .edu’s and .org’s and .gov’s (which was the rage back in 2008 era) has dissipated as we’ve discovered that these domains don’t intrinsically carry any extra authority or value due to their TLD. What works is the hard part of SEO – a solid platform with great content sitting on a highly authoritative site. A new TLD isn’t going to solve any of those problems. The only people who are going to make it rich here are those selling the domains – the registrar companies estimate lawyers will blow a cool $200 million on the new TLDs…. annually. 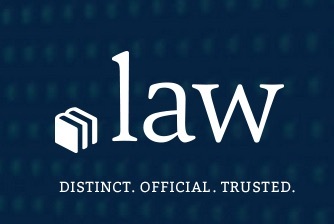 .law domain gold, the newest item available in the Legal SEO Store. Get ’em while they’re golden! Not for you Casey – you have to be a lawyer (to buy them). But you can buy one from a lawyer who bought one. Maybe this is Gyi’s new business model. Yes Conrad. This is exactly why I spent all of that money on law school… Finally!!! Well there goes that retirement plan of becoming a .law reseller. Glad I took notice that I was late to the game before I closed down the firm. Thanks for the reassurance that we made the right call in not spending money on buying up a bunch of these domains. Dave – I’d say, if you were a newbie starting out and needed a domain, then….. maybe. Otherwise, keep calm and carry on. .lawyer would be lame. I’m an ATTORNEY, dammit. .law could be coolish. Could it be that .law is just simple and easy to remember? I mean, not everything is about SEO. Aaron – you are totally right, not everything is SEO oriented – but when vendors sell products touting the (empty) promise that their product will bring to SEO that I get particularly annoyed. Its misleading at best. And most (but not all) of the vendors know better.